Palmers Scaffolding UK has successfully secured contracts providing modern access & scaffolding solutions on a number of premier waste to energy plants in the country. Two of the contracts are in Scotland – at the Levenseat EfW plant and MRF waste management site by Forth in Lanark and the Viridor ERF plant by Dunbar in East Lothian – with the third at the Port Clarence renewable energy plant by Tees Dock in Teesside near Middlesbrough. All are important plants in the expanding waste energy sector, which is a relatively new marketplace in the established industrial sector for Palmers. Palmers Scaffolding UK Limited Managing Director, Lindsay Harle said: “Industrial scaffolding is one of the sectors we have excelled at for decades and it’s fantastic to be involved with such modern, high quality construction and energy projects in Scotland and the North East. The Levenseat EfW plant and MRF waste management site in Lanark is run by Palmers Client M+W Group (UK) and consists of a variety of tube and fitting and system scaffolding solutions on the £111m project – designed to help create 123MWe energy from a waste (EfW) plant and the adjacent Materials Recycling Facility (MRF). The project will recycle over a million tonnes of materials including plastics, metals, paper and aggregates over its lifetime and will generate the heat required by the MRF. It is expected to save around 1.3 million tonnes of CO2e emissions, divert over 1.4 million tonnes of waste from landfill and produce enough electricity to supply the equivalent of almost 18,000 homes over its lifetime. And the Material Recycling Facility (MRF) is designed to process 42 tonnes per hour of commercial & industrial waste or municipal solid waste with an annual capacity over 200,000 tonnes. 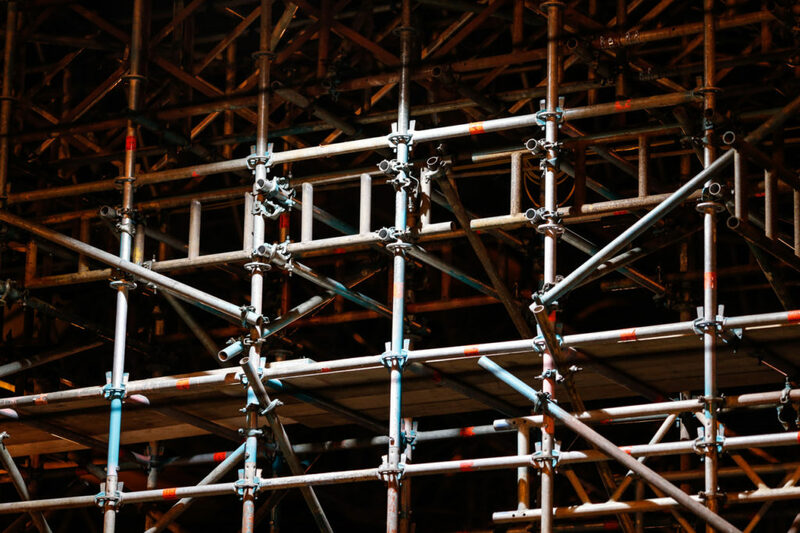 Palmers scaffolding solutions are providing essential support in these tasks. The Viridor ERF plant in East Lothian is a £177m Interserve Construction project to Dunbar Energy Recovery Facility (ERF) at Viridor’s existing rail linked Dunbar waste treatment hub in East Lothian. The facility is integral to the Scottish Government’s ambitions to deliver a zero waste, circular economy which encourages waste reduction, boosts recycling and recovers vital renewable energy from what remains. In tandem with Viridor’s investment in a Scottish £125m network of recycling-led infrastructure, the project will deliver a 300,000 tonnes per annum ERF which will divert post-recycling ‘residual’ waste from landfill and contribute to Scottish energy security. The site will generate 30MW of base-load renewable energy direct to the grid – the equivalent of 39 wind turbines – enough to continuously power 39,000 homes. And the plant will offer up to 10MW of heat for local use and is supporting at least 350 jobs during construction, including many of Palmers advanced scaffolders. Port Clarence Renewable Energy Plant onTeesside is being run by Lagan Construction Group – the civil contractor on this £160 million biomass plant at Port Clarence, which is a major outlet for waste wood in the North East. The Port Clarence Renewable Energy Plant will have capacity to treat an estimated 325,000 tonnes of waste wood per year. Danish energy-from-waste specialist Babcock and Wilcox Vølund will operate the plant, with building work being carried out by Lagan Construction Group in partnership with Eco2. The development at Port Clarence will create about 30 direct jobs and support a further 300 jobs at the peak of the build. When finished, the plant will generate around 40MW of power – the equivalent of powering around 75,000 homes in Tees Valley and elsewhere in the North East. Situated on the banks of the River Tees at Clarence the development is the largest of its kind that can be approved at a local authority level.